The School of Chi Energy online training instructs students how to build up or cultivate Qi Energy to high levels. In School the new student learns step by step a Chi Cultivation Method that teaches them to build up their entire body’s nerve fiber system. As they perform this Qi Energy exercise for twenty minutes a day, the process releases a type of light called biophotons upon the nerve fiber’s synapse firing that have a type of electrical magnetic component. This is the first part of a student’s training. This energy form thru repetition and adjustments becomes very ‘heavy with biophotons’. Heavy Chi when in ‘Form’ allows for the movement of space and time E=MC2 thru the body and outside the body. It is true anyone can build up “Liquid Chi” to move objects, people or perform healings; however, there is no “Form of Heavy Chi” that can control a variety of attributes to perform the types of healing and advanced techniques at tangible levels with precision. If you are the type of person that is only looking for a little more energy and to keep your body in a healthy condition, than any traditional energy style should work for someone like you; but, If you are tired of not making the gains in your energy method that you think you should be making, then maybe it is time to see what our school has to offer. 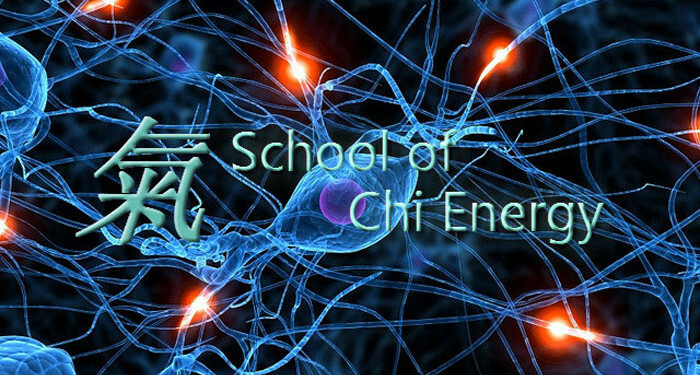 Each School of Chi Energy Student and Instructor is able to reach the higher levels in Qi Energy cultivation by learning a specially designed energy exercise called, “The Nerve Fiber Building Exercise“. They learn and practice this type of energy exercise and others in order to perform advanced healing or extreme abilities. Click to play or download this 20 minute mp3, called The Nerve Fiber Building Exercise seminar. The Chi Energy Method: Learn how to buildup your body electrically. Online Classes: Download our Chi Energy Course Catalog Curriculum. Building Chi Energy in Order to Bring out your Spirit: Learn how these are spiritual energy exercises. Healing with Chi vs Moving objects with Chi: Learn how this is a advanced healing and extreme ability Chi Energy School and not a magic School.